Yoga has three main requirements to enjoy good health. A body is healthy only when it is in equilibrium at three levels 1) Physical, 2) Mental & 3) Spiritual. Yoga contributes to overall physical fitness & helps immensely to maintain mental & spiritual understanding. One can keep healthy by following the balanced (scientific) diet so that it is beneficial. Infact, the diet itself becomes medicine. Thus, the diet serves three purposes. First: development of organs. Second: acts as the medicine and repairs any physical damage & replenish energy.Third: affects attitude. One’s personality(state of mind & outward appearance) depends on good or bad intention in which the food is consumed. Therefore,it should be eaten in a cheerful manner ensuring that there is no stress or tension around. Chewing food with plenty of saliva mixed with every morsel play important role in getting the best results. Eating only when one is hungry is highly desirable. Sleep rejuvenates and keeps all healthy. The weary & tired are re-energised. The sleep is one of the best gift of God to the living world. Depriving any one of sleep is the worst kind of punishment that may be afflicted. All the living things on this earth go to sleep after a days work with a few exceptions of bats, owls and some plants. Early to bed & early to rise is good for the environment as well as the living world. 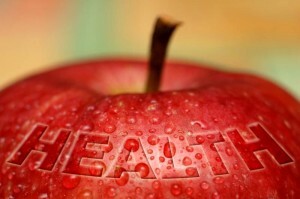 Industrialisation & urbanisation has taken away the life’s joys when one talks of good health. People now keep late hours for work, celebrations or functions & get together. They use electricity to make enough light to move about & do their chores- these late hours offset the natural cycle of life, thus giving birth to multi dimensional problems of health & disturb environment. Mind is the reflector of one’s personality. It is the connection between the physical body & the thoughts or mental attitude.It may also be called the interface between inner & outter world of a being. Practice of regular Yoga makes one develop the qualities of friendship with happy people, being empathetic and kind towards sick, pleasantness with virtuous and indifference with ill minded and reactionaries keeps one steady on the Yoga path. Practice of Yoga keeps one unbelievably steady & determined & unwavering, thus making life balanced & happy.The concentration of mind is meditation. It leads one to be in oneness with the Creator thus bringing in benefits of good health, and enduring patience. The purity & bliss of mind obtained through practice of Yoga removes afflictions like ignorance & other traits thus entering samadhi or state of trance.Many stream of The Yoga treats life as quadrangle of duty, wealth, desire and salvation. One learns how to meditate and concentration mind of mind is attained easily.